“Paver” is a term used to describe a flat, thin stone commonly used for paving walkways, driveways and patios. Both concrete and brick pavers are available, so which is the best option for your next project? There are many similarities between concrete and brick pavers; they are durable, long lasting and installed using similar techniques. While rather similar, there are a number of differences between the two materials. 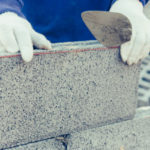 Here are pros and cons to concrete and brick pavers that will help you make the right final decision. Brick pavers are technically made from real brick, which is formed from clay and baked at high temperatures in a kiln. 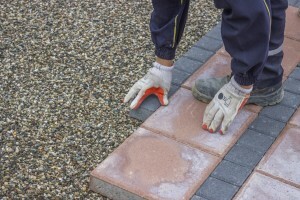 There are a number of products advertised as ‘brick’ pavers that are actually made from concrete and called brick due to their shape and appearance. If you want brick pavers be sure and check the actual materials used to form the pavers before making any final decisions. Brick is one of the longest lasting materials on the planet. Generation after generation can appreciate the same brick pavers. While brick may incur slight chips and cracks over time, especially in high traffic areas, it tends to maintain its overall beauty. 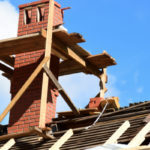 Bricks typically only chip due to high stress caused by traffic, moisture or ice. Concrete pavers do not last as long and are more prone to eroding and fading. The color of brick pavers is not going to fade or change over time. Brick maintains its coloring exceptionally well, much better than concrete, even when exposed to the sun. Bricks remain durable without a whole lot of maintenance. Clay bricks are highly resistant to stains and other issues, meaning you will spend less time and money maintaining brick pavers. Bricks have remained in style for centuries and continue to remain timeless in appearance. Bricks are environmentally friendly for a few reasons. One, they are made from renewable natural resources and so they create less of a strain on our environment. Two, they are built to last and therefore reduce how often you have to replace them. Lastly, bricks are so strong they are often salvaged and reused, making them recyclable. All in all, brick pavers offer a sustainable choice. Brick pavers on average tend to cost about 15% to 20% more than concrete pavers. Clays naturally give bricks their coloring, which is why bricks do not fade as much over time as other materials. While a pro in one sense, this limits the available color options you have to choose from. Also, bricks are typically only available in a rectangular shape and a couple different sizes. Bricks are manufactured in such a way that they tend to vary in dimension, even when formed together in the same batch. Due to variance in size it is more difficult to install brick pavers, increasing overall labor costs. If brick pavers are exposed to a lot of heavy vehicle traffic they are at a high risk for cracking, chipping or shearing. Concrete pavers are formed using a mixture of aggregate and cement that is poured into molds before being compressed and air cured. Due to the manufacturing process of concrete pavers, there are many options in regards to size, style, color and shape. Concrete pavers are less expensive than brick, largely due to the lower cost of the raw materials required to form concrete pavers. Concrete pavers can be made so that they are all exactly the same size, making it easier to fit them together and create a walkway, driveway, etc. This reduces labor time and subsequently labor costs. Over time, the color of concrete is known to fade, especially if exposed to regular sunlight. You may need to have a sealant added to your concrete pavers in order to help them maintain their color. Unfortunately, sealants also increase the amount of maintenance your pavers require. Your concrete pavers will withstand traffic better than brick, but not forever. Concrete is proven to have a much shorter lifespan than brick, concrete can last a couple of decades, while brick can last generations. Depending on the exact mixture used to manufacture concrete, the overall strength and durability will vary. 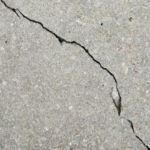 Some concrete resembles natural stone and is very durable, while other concrete easily cracks, crumbles and doesn’t hold up. 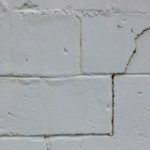 Bricks tend to chip and crack, but concrete wear is more gradual. The smooth top layer eventually begins to wear away, leaving the aggregate underneath exposed. This gives concrete pavers an aged look over time. Contact Turnbull Masonry and we can help you find the best pavers for your next project, guaranteed!